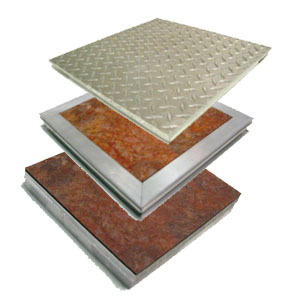 Whether you’re flooring material is vinyl, diamond plate, tile, or carpeting, Craigg in-floor access panels are the ideal choose for your installation. 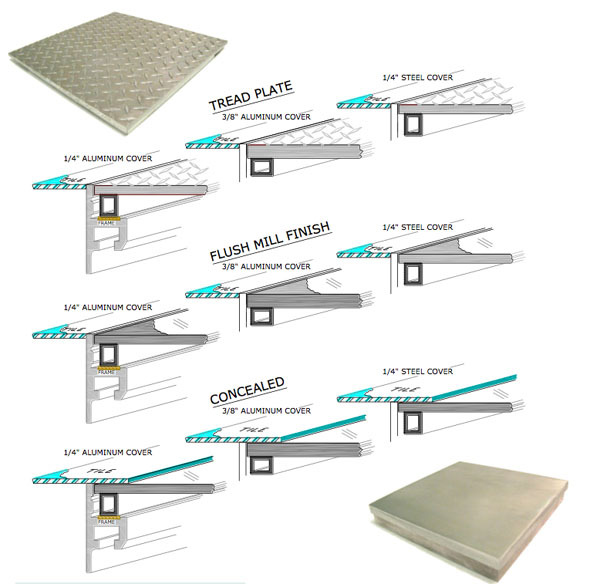 Bordered Covers provide protection for your flooring material edges. All of the flooring material becomes recessed into the protective frame. The cover is reversible, e.g. the 1/4” cover with an 1/8” offset is the reverse side of the 1/2” offset. Due to its deep setting design the cover requires no screws or fasteners to secure it in place. Borderless Covers will provide you the needed protection for your floor covering edges while allowing only a minimum of exposed frame. All floor covering is recessed inside the floor frame for a continuously flowing floor. With its deep setting design the cover requires no screws or fasteners to secure it in place. Flush Covers provides a natural metallic finish. Available in Treadplate pattern or a brushed mill finish. Covers can add a contrast to the surrounding finish. With its deep setting design the cover requires no screws or fasteners to secure it in place. Two Piece covers allows the frame to be divided into two standard covers. 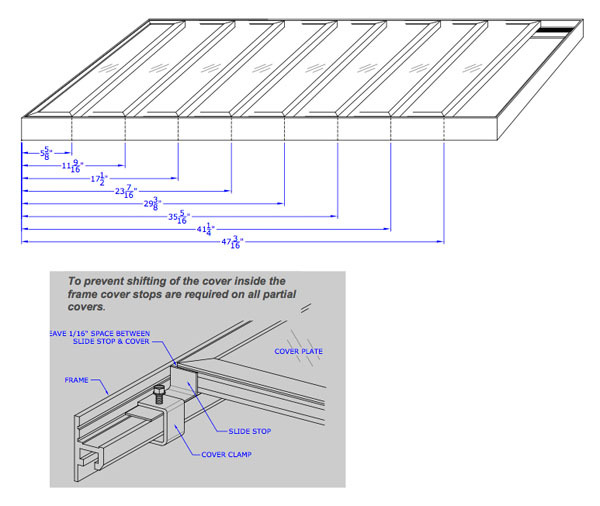 This cover arrangement is beneficial when limited access to the opening is needed or reduce the size of the covers for easier removal. Any type, finish or style of covers can be paired together. SEE THE PAGE ON PARTIAL COVERS IF A CUSTOM SIZE IS REQUIRED OR IF PART OF THE PIT COVER IS TO REMAIN OPEN. 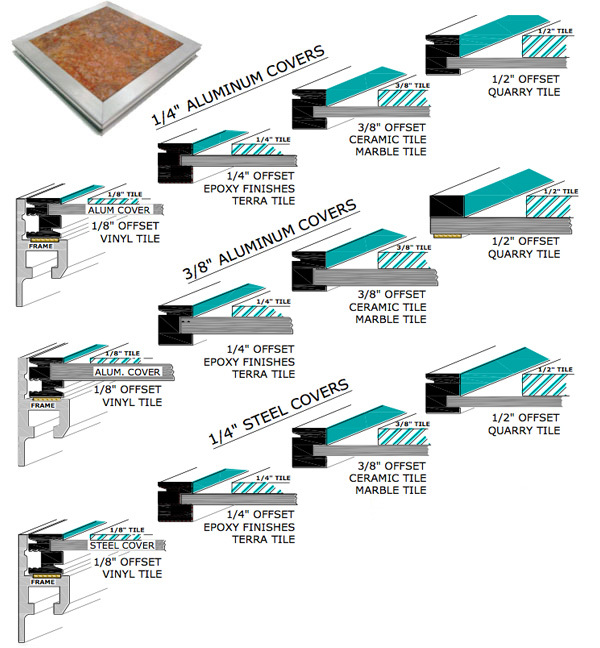 Partial Covers are available to cover less than the total pit opening. This can allow for an area to remain open for mechanicals to pass through. Custom sizes are available along with special configuration. Cover Supports are recommended on larger covers or those subjected to heavier loading and/or traffic. 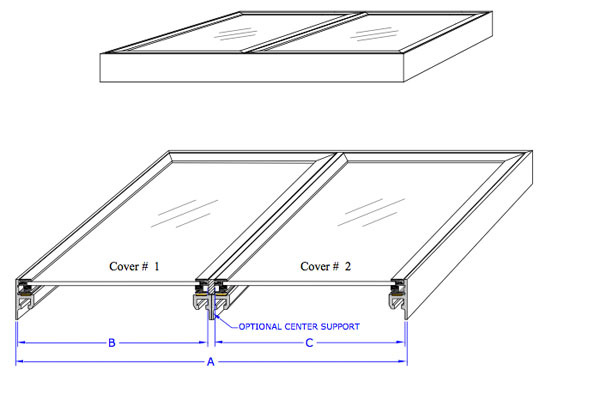 Cover Supports are recommended on covers over 30” square or on partial covers where one edge does not rest on the frame and is subject to traffic weight. 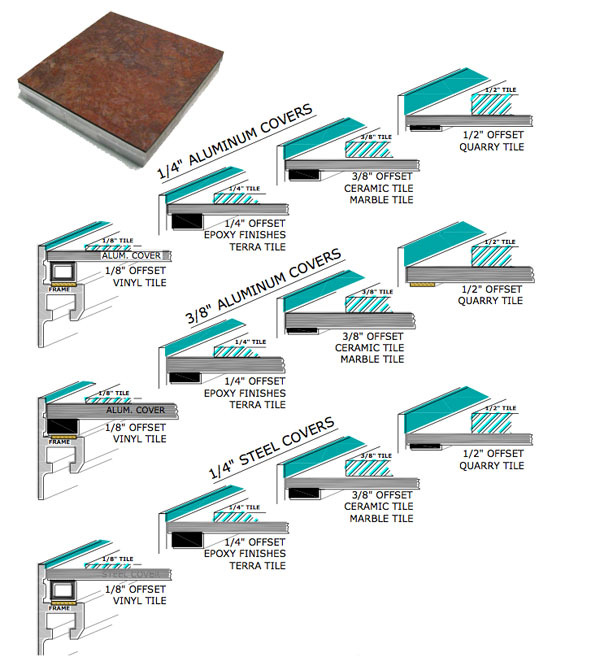 1'-0" 1'-6" 2'-0" 2'-6" 3'-0" 3'-6" 4'-0"
Pit covers and frames are engineered for light and medium surface loads that are usually applied with their indoor use. All four edges being supported. A maximum deflection of L/150 of the short side. Maximum allowed shear strength is greater. Cover supports are used to strengthen plate and reduce the deflection rate. No strength ratings are available for this configuration.